Seven different species of sea turtles – also known as marine turtles – inhabit our oceans. 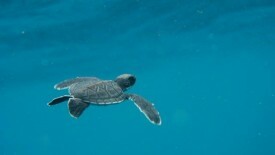 Of these seven, only the green turtle has a stable population in Malaysia. The leatherback turtle is now extinct, and the hawksbill and the olive ridley are in precarious situations, with only a few tens of nests per year. Thanks to a novel new initiative supported by the Global Environment Facility (GEF), there is, however, some hope for endangered sea turtles in the waters around this peninsular nation and its islands. Green turtles face the threat of accidental capture in commercial and artisanal fisheries, given that sea turtles share habitats with certain shrimp and fish. When fishing with a net, or trawling, nets roll along the seabed, indiscriminately catching and drowning numerous sea turtles. Some estimate that 3,000 to 4,000 turtles are accidentally caught each year in the state of Sabah alone. The lack of marine protection measures in Malaysia limits its shrimp exports due to legal restrictions from importing countries, presenting a large economic disadvantage. 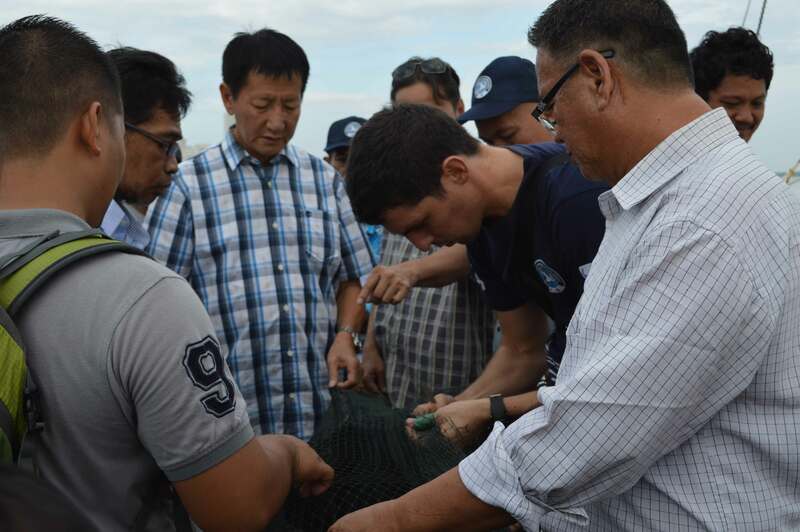 The GEF Small Grants Programme has been supporting the Marine Research Foundation in Malaysia to develop and implement a long-term national bycatch reduction program, in partnership with the Department of Fisheries of Malaysia (DOFM). Building on ten years of experience of prior GEF SGP grants, with co-financing from several other donors like Conservation International, the latest SGP grant received two matching grants from the United States National Oceanic and Atmospheric Administration (NOAA). 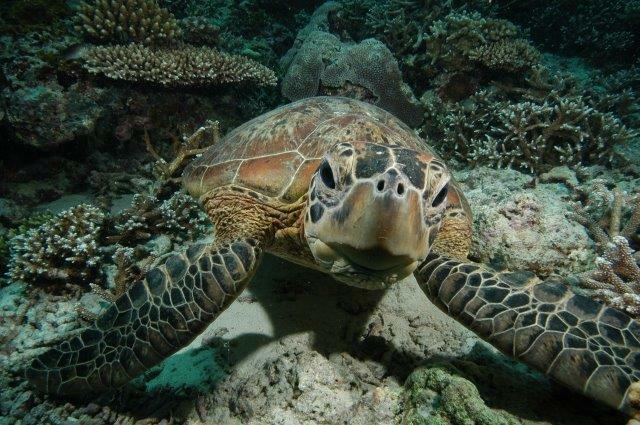 The GEF SGP project uses an ecosystem-based approach to fisheries to conserve sea turtles and their habitats through the introduction of Turtle Excluder Devices (TEDs) . 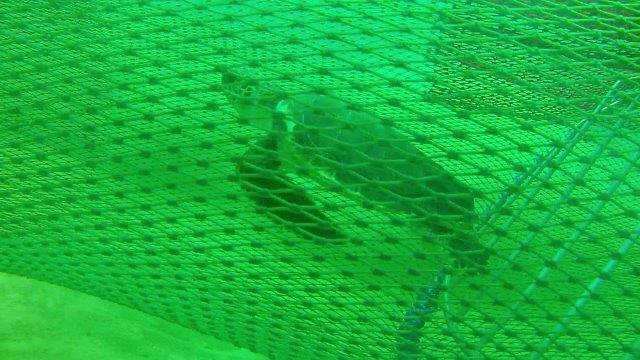 TEDs are metal grids positioned at the bottom or top of a trawl net that retain small fish and shrimp while allowing large animals such as turtles and sharks to escape. 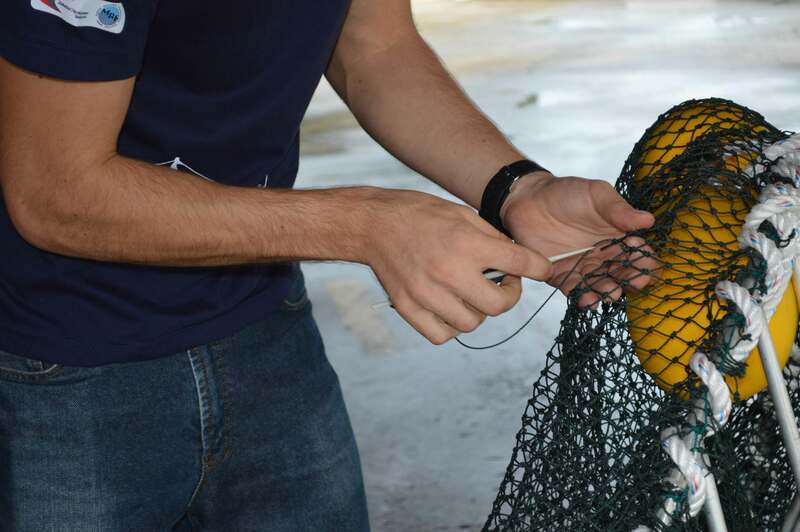 TEDs improve the quality of the catch, and the reduction of debris in the back of the net helps save fuel, benefitting fishers. 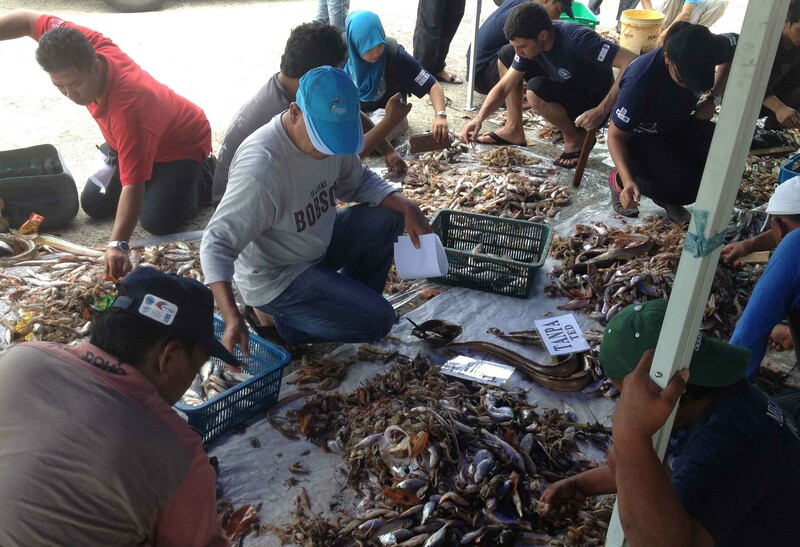 To implement the adoption of TEDs, the project worked with local fishing communities and the government to remove knowledge barriers, promote national and state mainstreaming activities, and foster community-based stewardship among fishers. 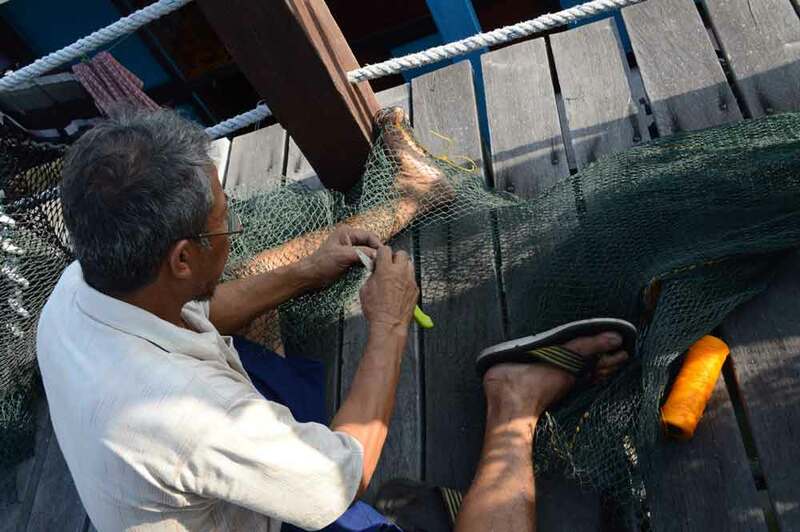 In partnership with the Department of Fisheries in Malaysia, fishers in six states participated in trial demonstrations and hands-on workshops to learn how to construct and use TEDs. The project also emphasized data gathering, as well as peer-to-peer learning and knowledge exchanges. Because of these activities, regulations were adopted in Malaysia to govern the use and licensing of TEDs. These have been instrumental in reducing bycatch and direct turtle mortality, helping Malaysia meet its commitments under international agreements like the Convention of Biological Diversity. It also led to the establishment of a TED Implementation Task Force at the national level, and to a commitment by the DOFM to make TEDs mandatory in 2017. The GEF has a wide portfolio of projects to protect the oceans and marine ecosystems. For example, through the Coastal Fisheries Initiative (CFI), the GEF supports environmentally, economically and socially sustainable use and management of coastal fisheries. This complements the GEF’s multi-country large marine ecosystem (LME) approach. To date, the GEF has supported sustainable governance of 23 LMEs in which 124 countries collaborate on strategic, long-term ocean governance of transboundary resources.